Beginning as early as pre-k, students explore the magic and wonder of the printed word. Daily reading instruction includes opportunities in phonemic awareness, phonics, vocabulary, comprehension, and fluency. Students will write letters, then words, then complete thoughts, opening a whole new world of language experiences to use and enjoy. Equally exciting is the world of mathematics. Number sense, patterns, and simple computation begin students on a journey to great discoveries in the realm of space, dimension, and data. Science and Social Studies concepts are introduced through stories, art, music, and hands-on activities. Budding scientists develop natural curiosity, and understanding the needs and wants of others equips children to participate in future learning activities with their peers. Daily Bible classes emphasize God’s great love and promises to His people through some of the more popular and easily understood stories of the Old and New Testaments. Children learn of their own opportunities and responsibilities to the heavenly Father, as well as learning to trust Him for His great protection and guidance. 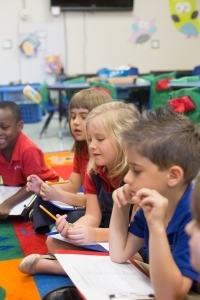 Florida College Academy is accredited by Florida Council of Independent Schools and the Florida Kindergarten Council. 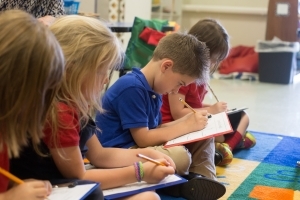 Florida College Academy is dedicated to providing its students with a competitive education in a safe, supportive, spiritual and stimulating environment.